Monrovia – Journalist Alaskai Moore Johnson has told a group of Liberia’s forest stakeholders that the nation’s forest is its last bastion of hope and so all must be done to fully protect it for present generation and posterity. 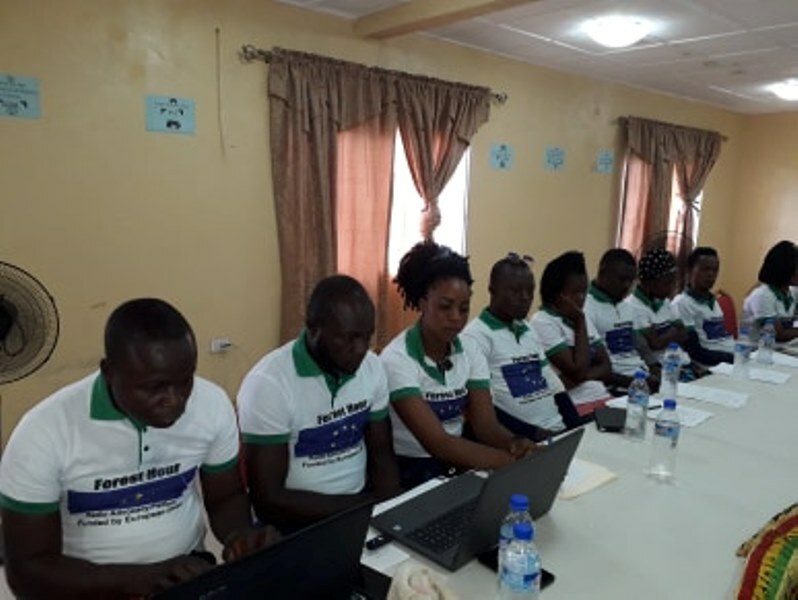 Speaking on behalf of Mr. Charles Coffey, President of the Press Union of Liberia (PUL), the FrontPageAfrica editor further told these people who are on the frontline talking care of the nation’s forests that every Liberian needs to protect these lands. He made the comments Tuesday, April 2, when he, on behalf of PUL, launched the Forest Hour, a radio advocacy program, which is intended to raise communities’ voices at national level. The radio show is also expected to ignite nation-wide participation, dialogue on forest laws, policies, agreements and practices within the context of Forest Law Enforcement, Governance and Trade (FLEGT). 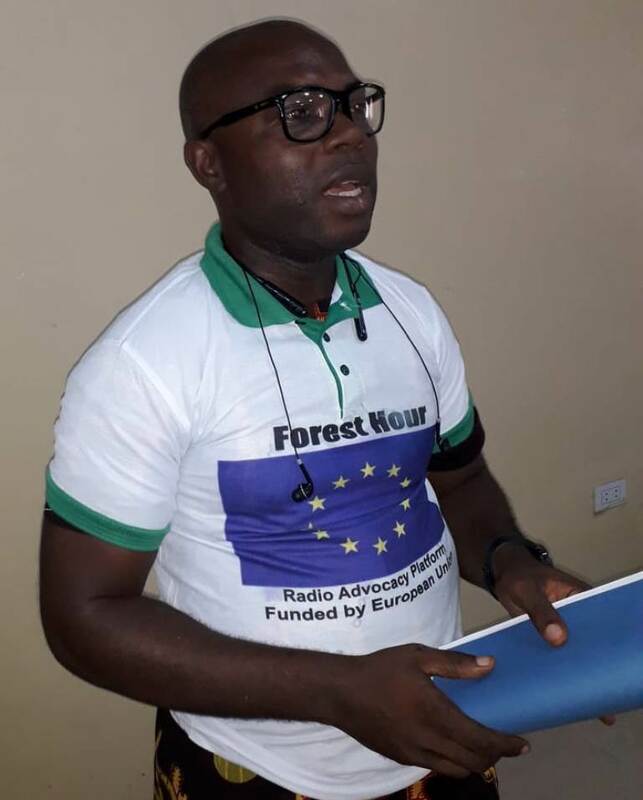 According to this European Union–Non State Action (EU-NSA)-sponsored program, the radio talk-show will draw attention to Reducing Emissions from Deforestation and Forest Degradation (REDD+) and other conditions agreed to in the Volunteer Partnership Agreement (VPA), which was signed between the European Union and the Liberian Government to discourage illegal logging and promote transparency and accountability. “Because the forest hour aims to provide alternative national platform to draw stakeholders’ attention to infractions in forested communities, it will be accessible to sector’s experts, legal practitioners, forest structures, including the National Union of Community Forest Development Committee (NUCFDC), National Union of Community Forest Management Body (NUCFMB), Networks, Coalitions and working groups, concern members of the community, relevant government institutions (FDA and others), donors/international partners (EU and others), companies, etc. These institutions will be given opportunity to discuss issues in relation to forest governance,” a concept note on the radio program, states. The radio program will be used as a strategic conduit for information dissemination on issues coming out of the forests. It is also expected to serve as a support base for the advocacy strategy recently launched by the NGO Coalition of Liberia. According to the concept note, to achieve the desired objectives of the program, OK FM, a member of the Press Union of Liberia, has been selected to serve as host institution. The one-hour, phone-in show, which will be aired once a week, will be relayed on three community radio stations in the project affected counties of Gbarpolu, Sinoe and Lofa. Following the radio program, the PUL also launched the Independent Forest Monitors (IFM) Report, which finds a timber company in alleged gross violation of the forest laws and regulations. The report finds that this company continues to play lackadaisical attitudes toward implementation of its agreement with the people of Numopoh and forest revenue payment, including land rental and cubic meter fees. According to the UN Food and Agriculture Organization (FAO), 44.9 percent or about 4,329,000 hectare of Liberia is forested. Of this, four percent (175,000) is classified as primary forest, the most biodiverse and carbon-dense form of forest. Liberia had 8,000 ha of planted forest. In 2014, the Liberian and Norwegian Governments announced a US$150 million deal to halt the destruction of Liberia’s rainforest. The deal was intended to end new logging contracts, more scope for forest-dependent communities to manage their forests, and increase protected forest areas.